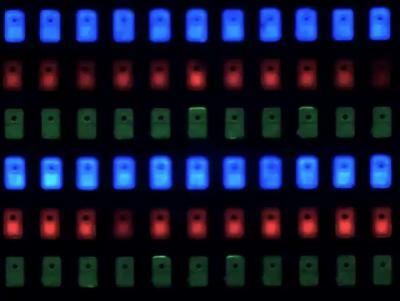 Samsung is reportedly starting to accelerate its effort to develop a Micro-LED based TV. The company is currently focused entirely on QD-LEDs for its premium TVs but is looking for alternative technologies as it fails to increase its market share in this segment. Samsung is said to be looking at several alternatives - one of which is to acquire Taiwan-based PlayNitride - a deal that was already reported in April 2017. Samsung aims to first use micro-LED technologies for its cinema LED screens, and then apply it to home-based TVs as well. There are still technical challenges that need to overcome before micro-LED displays hit the market for TV and mobile applications. Some estimate that this will not happen before 2019. This may not be fast enough for Samsung - who have seen its premium TV market share drop from 57.7% in 2015 to only 20.3% in 2016 when it started to rely on QD LED TVs. The market leader is now LG Display (with a 43.1% share in 2016, up from 17.5% in 2015) with its premium OLED TVs. Here is Samsung's 146" Micro-LED TV, "The Wall"